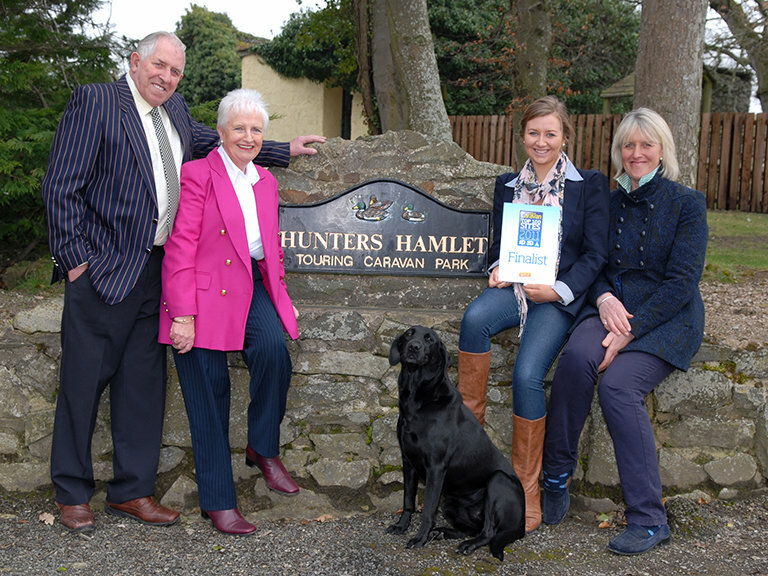 Award winning Hunters Hamlet Touring Park, Betws yn Rhos. Set in the heart of beautiful North Wales, described by Practical caravan's inspectors, Liz and George Hughes, as "This small, idyllic park, tucked above Abergele among quiet country lanes, is a tonic for the weary and a stimulus for youngsters who adore fresh air, wildlife and natural surroundings". Maureen Makinson of Caravan Life's description of the park concludes "A very quiet and peaceful site where visitors return again and again, well knowing when they have discovered a real gem".